People are invited to look for the FSC logo and consider the sourcing of the products they buy in a creative and entertaining way. “Every year the threat to our forests increases, in the form of environmental change and illegal logging,” explains FSC. 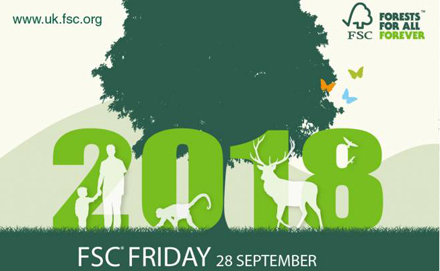 “For over 20 years, FSC has worked to take care of forests and the people, plants, and animal species that depend on them. Last year, businesses, schools and environmental groups in more than 30 countries took part.